Cathy, welcome to Writers on Reading! 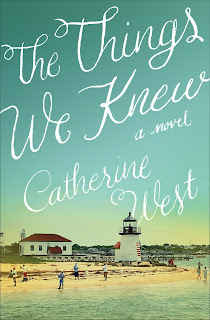 Your most recent novel, The Things We Knew, released mere days ago. I’m curious…as a reader are you drawn toward certain genres? Do you find one theme more repeatedly snags your attention as a read? Is there something special you seek when selecting your next reading adventure? I love to read books similar to the ones I write. 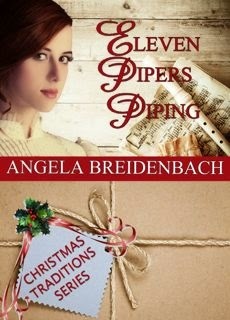 I enjoy large family dramas, romance, and some historical fiction. The books I choose to read will usually be more along the lines of women’s fiction – I need to connect with the characters and feel as though I am on the journey along with them – so anything where a character has a struggle to go through or some major drama going on – all those kinds of stories will immediately capture my attention. I love romance, so if I can find a great romance story that takes my breath away, that works. 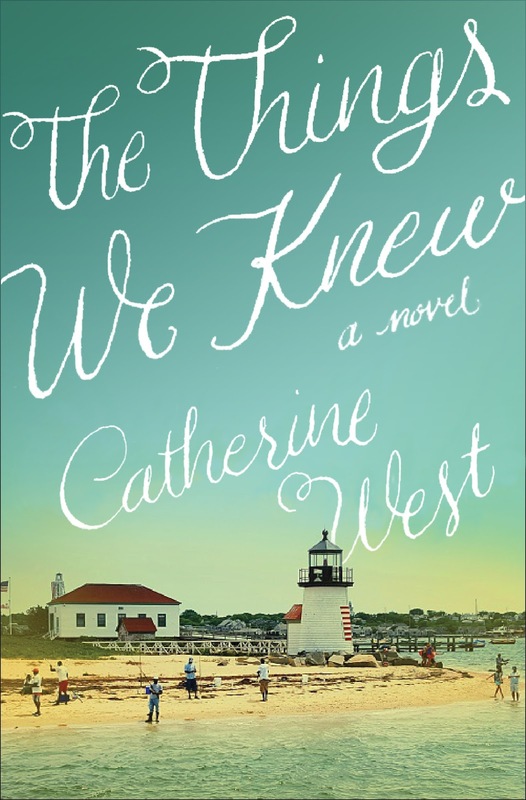 Romantic comedy is great too, but lately I find myself reading books from Kate Morton, Sue Meissner, Kristin Hannah – I enjoy novels where there is both a historical and contemporary setting – Sue Meissner does that very well. Having published so many books do you find time to read during the months you spend writing or with deadlines ahead is it either/or for you? If so, what did you read while working on your last book? If not, what did you read when you finished this one? I loved reading from the moment I learned how! I’m not sure what I read first! Being raised in the British school system, I read all of Enid Blyton’s novels. I loved Nancy Drew. My mother was a big Agatha Christie fan so I read those as well. The first really ‘big’ book I read was Gone With The Wind. I was 13, and I remember how heavy it was! I couldn’t wait to get back into it every day. I don’t think I had a specific moment when I knew I wanted to write. Creating stories was something that just seemed to come naturally and I enjoyed it. In my teens I would write books in my school binders! 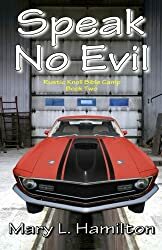 I wrote my first full-length novel in my early 20’s, and I think it was at that point I really thought that writing was something I’d enjoy doing for a living. Although back then I didn’t know the first thing about how to get published – I had lots to learn! With a hot summer upon us, what is on your summer to-read list? And what is your ideal summer reading experience? I read pretty widely in both CBA and ABA. There are amazing books coming out of CBA right now – I just finished Kristy Cambron’s latest, The Ringmaster’s Wife – she is one great historical author, I love all her books! 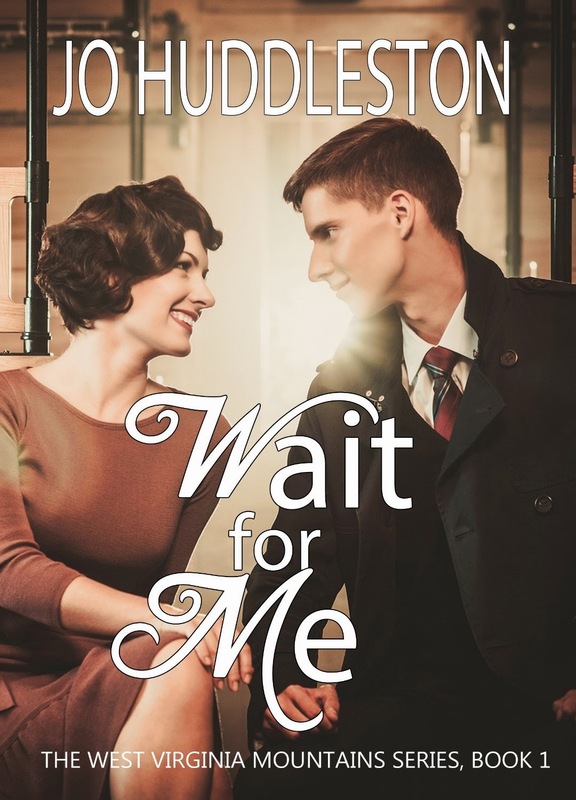 Beth Vogt’s new release, Almost Like Being In Love is also great, and Kara Isaac’s Close to You is wonderful! I’m currently reading The Nightingale, by Kristin Hannah. I have a few more books on my summer reading list, new releases by Billy Coffey andJim Rubart, and a couple of older novels by Kate Atkinson, I love all her books too! I’ll usually curl up outside in the shade with my iPad, or if it’s too hot, you’ll find me inside on the couch with the a/c on! I love the classics. My son lives in Boston, and when my husband and I visit, we always go to Brattle Books, which is an amazing three story building filled with old books! We’ve found some great collections there – Dickens, Jane Austen. Our most recent purchase was one of the early versions of Peter Pan – Wendy and Peter – so I’m really looking forward to re-reading that one. I try to read Pride and Prejudice every year as well, just because I love it so much! Thanks so much for visiting and letting us get to know you better as a reader, Cathy! 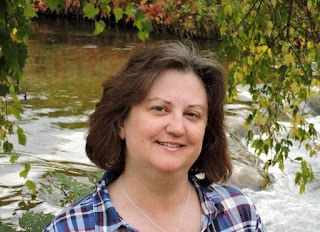 Folks, you can continue to connect with Cathy—and find out more about her books!—at the links below. Renee, welcome to Writers on Reading! 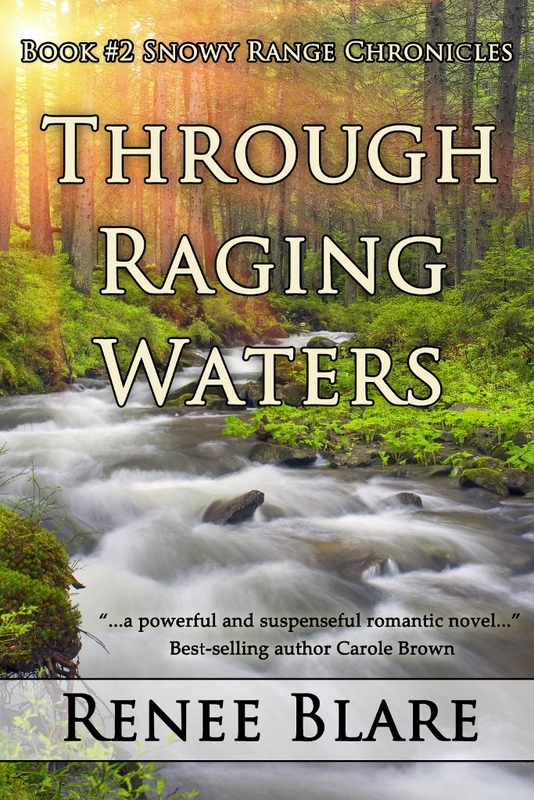 Your most recent novel, Through Raging Waters, released this month. I’m curious…as a reader are you drawn toward certain genres? Do you find one theme more repeatedly snags your attention as a read? Is there something special you seek when selecting your next reading adventure? That’s fun to know! As a writer, you should know better, but as a reader, you know we all do it…so, when did you last “judge a book by the cover”? How did it work out? I bought a “cool” book off Amazon a few months back. At least it looked good. Nice cover, rather good sounding blurb. I read the first chapter and tossed it. Bad editing (if at all) made it hard to read, profanity…not my cup of tea. I guess you really can’t judge a book by its cover. So true! Having published so many books do you find time to read during the months you spend writing or with deadlines ahead is it either/or for you? If so, what did you read while working on your last book? If not, what did you read when you finished this one? Yep. I’d stay up to all hours of the night reading, if not ALL night long! I actually rewrote the book, Airport by Arthur Hailey. I was a bit dyslexic and my tutors recommended writing…physically writing. It was hard but it helped. I actually love to read while we’re fishing. Sitting next to one of our high mountain lakes is the absolute best! I can relax in the summer sun with a cool breeze to my face. I just need to be careful not to get sunburned! A warm spring and early rainstorms melt the snowpack. Spring runoff compounded by the storm of the century sends Timber Springs into a tailspin. Tossed into the role of rescuer, local pharmacist Paul Fitzgerald must face his past before the whole world falls apart. While he fights to contain the beast around him, he finds his steadfast control slipping through his fingers. And life…everyone’s life…hangs by a thread once again. She isn’t a hero. Melissa Hampton has her own demons to battle. After she learns of her mysterious beginnings amidst her mother’s keepsakes, she faces more than just the river rushing outside her door. Now, she must discern friend from foe…but as waters rise and tension climbs within Timber Springs, she needs to rise to the challenge or lose the only man she's ever loved. 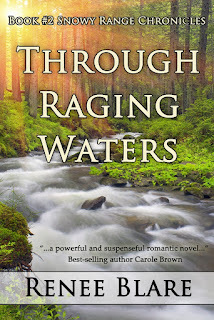 Can two people find each other through raging waters? Raised in Louisiana and Wyoming, Renee started writing poetry in junior high school. After having her son, a desire to attend pharmacy school sent her small family to the University of Wyoming in Laramie, and she's been counting pills ever since. While writing's her first love, well, after the Lord and husband, she also likes to fish and hunt as well as pick away on her classical guitar. Nestled in the foothills of the Wind River Mountains with her husband, crazy dogs and ornery cat, she continues to serve her community as a pharmacist while penning her Christian stories any chance she can get. 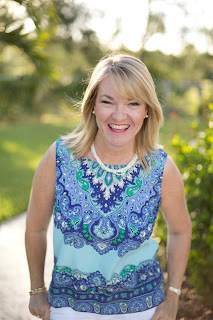 She loves to interact with readers and invites you check out her website, blog, and social media.